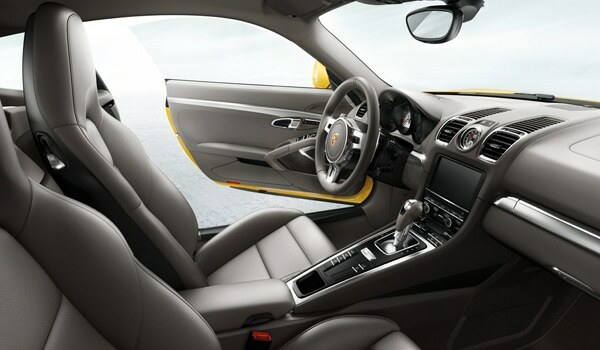 Not many years ago, a leather interior in a car was an expensive luxury. On high-end cars, leather was often standard but on others it was an expensive option. This is primarily due to the material costs. Why is that? Leather is expensive because there are many, labor-intensive steps needed to make it. Let’s take a closer look. The processing of leather actually goes back before recorded history. Thousands of years ago, primitive humans wrapped themselves with garments made from leather. Successful groups of humans were hunters for a reason. Not only did it supply people with fresh meat, it supplied the raw material for their garments and other things. Unfortunately these pelts probably didn’t last very long. After all, this is a natural product that would eventually decompose. Considering how clever modern humans were, it probably didn’t take long before it was discovered that certain plants when soaked with the pelts would preserve them longer. In addition, certain fats served as leather conditioners to keep the leather flexible and soft as it aged. Thus began the trade of leather conditioning. By the 18th century, tanning was an old and respected trade. It would take nearly a year of manipulating a hide before it was delivered as leather to the saddle maker, garment manufacturer or other craftsmen. The process of creating leather was one of the most labor-intensive processes in modern manufacturing. Today, most leather comes from the skins of cattle, sheep, goats and calves. Fort Dodge Ford of Fort Dodge, IA, a full-service Ford, Lincoln, Toyota dealer, tells us that the leather in most of their cars comes from cattle. The leather harvesting process starts with the process of carefully removing the hides after the animal is killed. After the hide has been removed, it is “fleshed” removing any remaining meat, tissue or fat. Freshly fleshed hides are then shipped in refrigerated trucks to tanneries for immediate processing into leather. In some cases, the fleshed hides are cured or preserved by immersion in brine for 12 hours. After curing, the hides can be stored for several months without damage and can be shipped to tanneries throughout the world. At the tannery, hair is removed by chemical digestion using a solution of lime and sodium sulphide. Then the hides are neutralized with acids and treated with enzymes to increase softness. The next operation is called pickling which involves soaking the hides in a solution of water, salt and hydrochloric acid. The final process in turning hides and skins into leather is the tanning process. There are several methods of tanning but the most common is chrome tanning. The process begins in rotating drums with a bath containing trivalent chrome. It usually takes eight hours for the chrome to penetrate all the way into the hide. Once this has been achieved the chrome is fixed by adding sodium carbonate or bicarbonate. After this treatment, the hides are stretched and dried. Finishing consists of placing a series of coatings on the surface of the leather. These coatings are designed to protect the leather and make it pleasing to the eye and hand. Some finishing processes apply plastics such as acrylic and urethane resins. Others coat with vinyl, wax, or nitrocellulose. To make the surface of the leather look good, leather is often embossed with a pattern. After the leather sheets are finished, they are shipped to upholstery companies that use the leather to construct automotive seats and other leather-covered interior pieces.